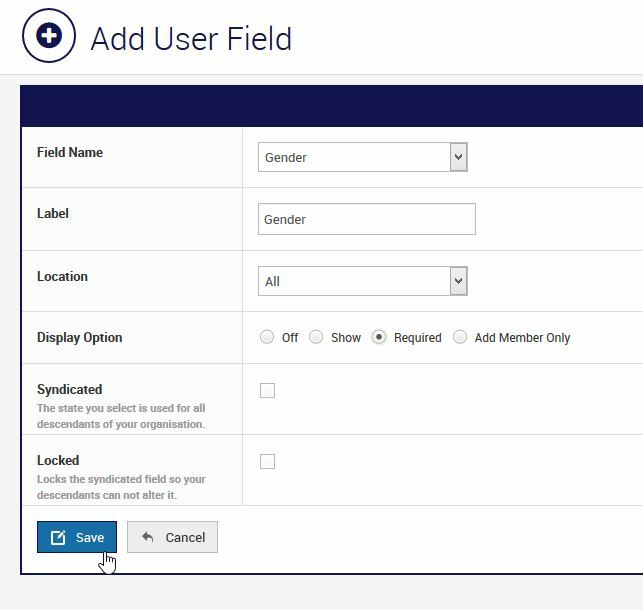 User Fields are the standard question fields set for registering members to complete. 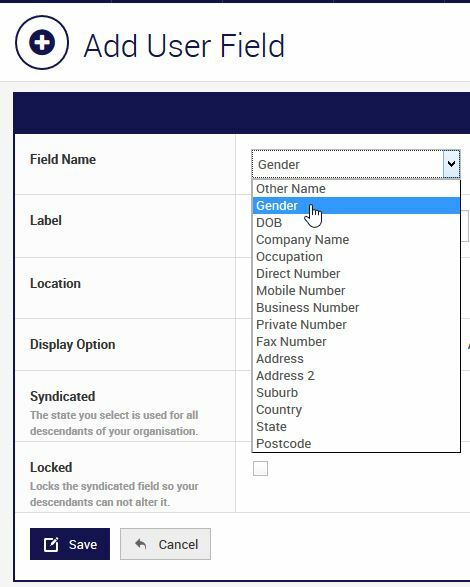 These are fields such as Date of Birth, Gender, Address etc. 5. Complete the remaining options. Syndicated: The state you select is used for all descendants of your organisation. Locked: Locks the syndicated field so your descendants can not alter it.